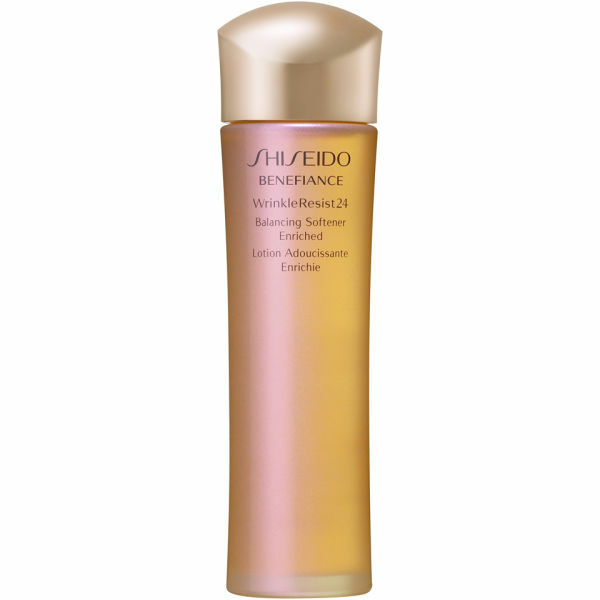 Nourish, smooth and protect your skin in one simple step with the Shiseido Benefiance WrinkleResist24 Eriched Balancing Softener. 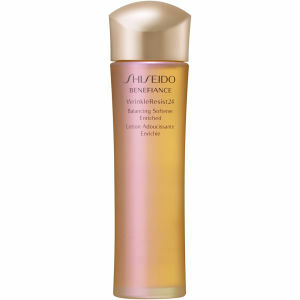 Containing mukurossi extract which directly inhibits the activity of a wrinkle-triggering enzyme, the anti-ageing toner also shields your skin from the sun's harmful UV rays. A great multi-tasker, it makes the skin more resistant to future signs of ageing, whilst helping to improve the appearance of existing wrinkles. Apply to clean, dry skin after cleansing.